I have found this great texture tool for blender called TexTools. You may know the tool from 3ds Max. The AddOn is completely free and should found its way to every 3D artist who use blender for work. 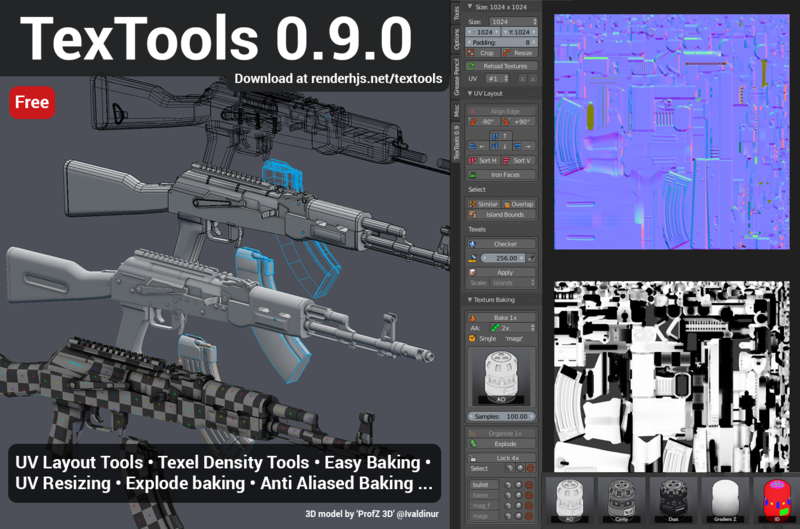 Current features include: Easy Texture Baking, UV Align and Selection tools and Texel Density tools. Its more of a edge case right now but when baking AO from a floater geonetry by separating it from the highpoly and tagging it as a floating object it will prevent baking shadows. addon, blender, Hints, modeling, news, software. Lesezeichen.